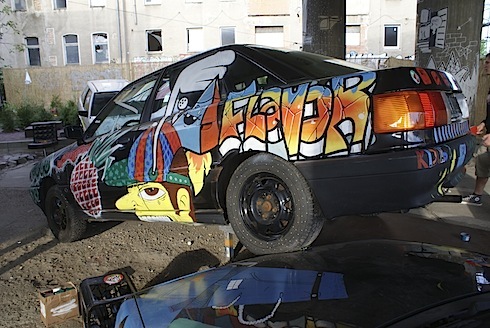 At the end of may 2010 the KLUB7 crew and their friends from the CHARLES BRONSON CLUB in Halle an der Saale invited some forward thinking musicians (SUPERFLU, FEADZ, SHIRKHAN, OLIVER HUNTEMANN) and artists to have a good time and to create together. 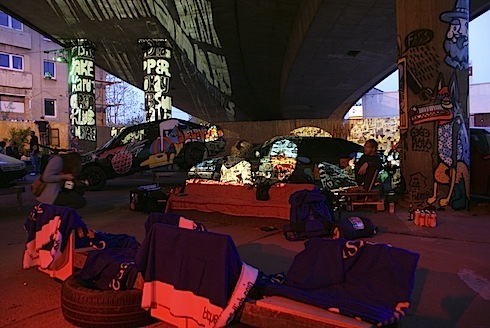 We transformed the place into a playground for artists. 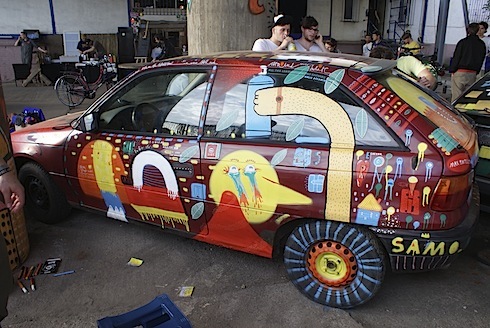 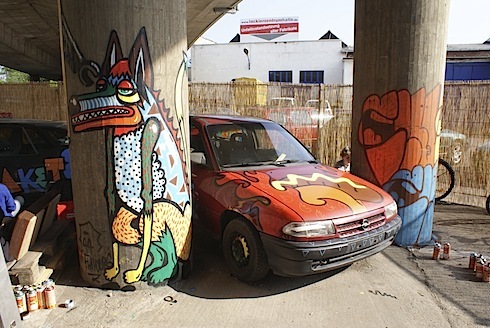 A couple of old cars were brought in and turned into canvases for our paintings. 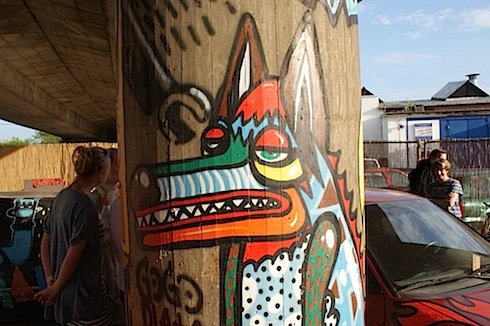 Here are some impressions of the painting session with KAPUTTNIC, GOGOPLATA, PEACHPEACH, KLUB7 and ourselves.